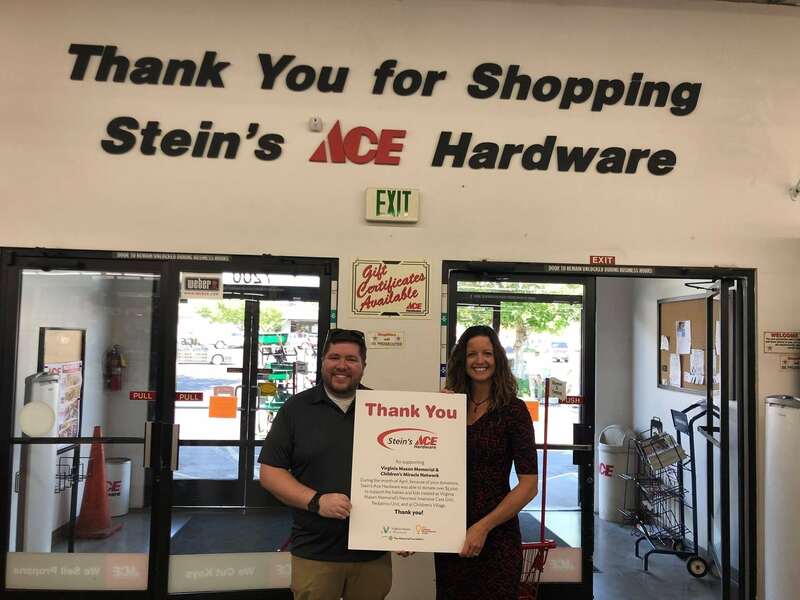 Stein's Ace Hardware Rounds Up over $5,000 for Kids – Ace Hardware Corp.
Last April, Stein’s Ace Hardware participated in Ace Hardware’s national Round Up for Kids campaign. During the month-long campaign, customers of the Ace Hardware location donated over $5,000 in change for babies and kids treated at Children’s Village and Virginia Mason Memorial, your local Children’s Miracle Network Hospital. This donation amount placed Stein’s Ace Hardware in the Top 20 Ace locations across the country for highest donations during the campaign! Incredible! We are so grateful for David and Kami Allen, their entire team at Stein’s Ace Hardware, and the customers who rounded up to help local kids — thank you! Next post: Ace Hardware treats our Miracle Kids to a day at the ballpark!